My daughter and I can't wait for the March release of Disney's Beauty and the Beast! We are big fans Emma Watson from her Harry Potter days, and we are so excited to see her take up the role of Belle. 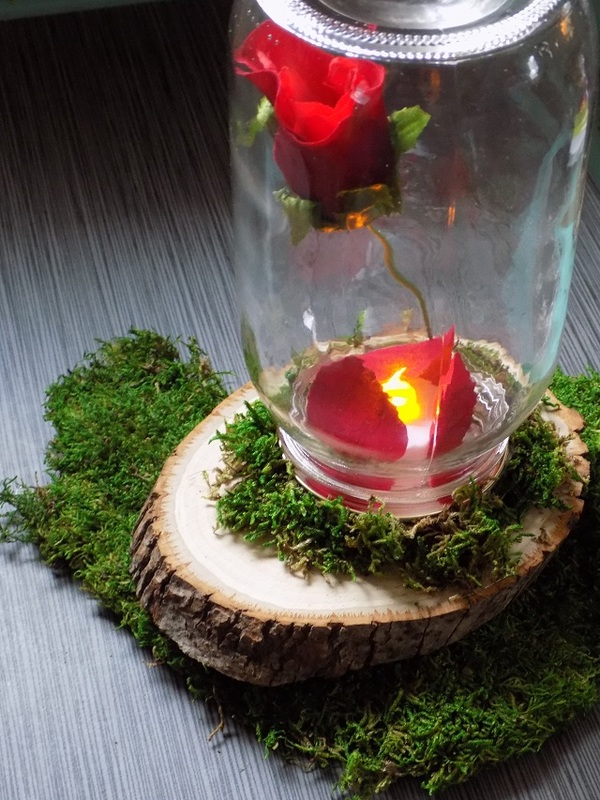 In celebration of the new Beauty and the Beast movie, we made this DIY Beauty and the Beast Rose Mason Jar Night Light this past weekend. It's a super simple kids craft, and it's such a pretty little luminary - perfect for a bed side table! 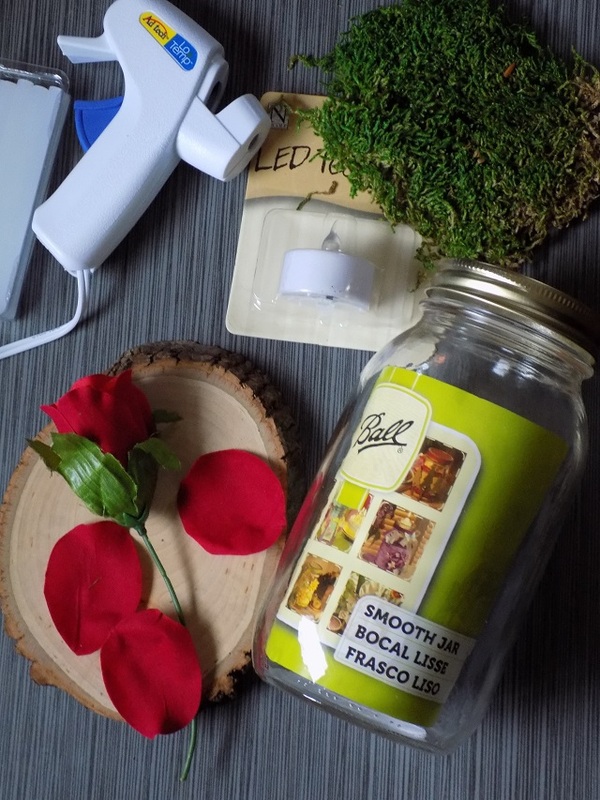 Read on for the simple supply list and easy tutorial to make your own DIY Beauty and the Beast Rose Mason Jar Night Light. 2 silk roses. 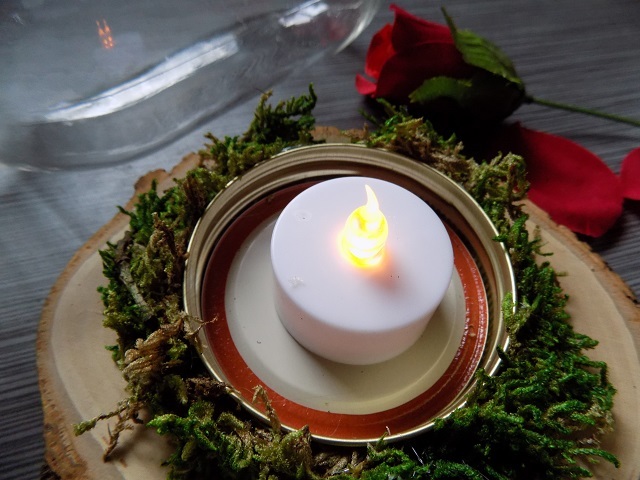 1 in it's full form (cut the stem to size to fit in the jar ) 1 to remove 2-3 rose petals to use for the bottom of the jar (where the tealight sits - refer to images). 1. Start by unscrewing the lid from the Ball smooth surface mason jar. 2. 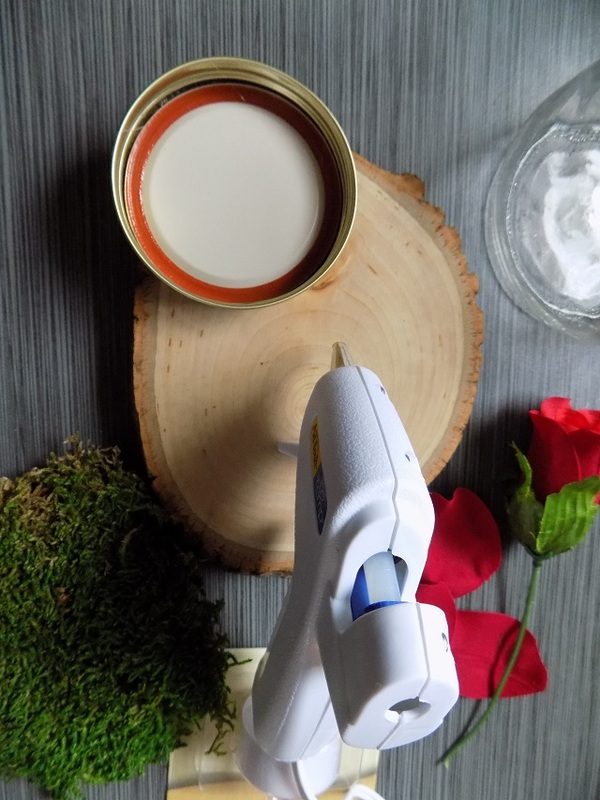 Next, use a generous size dollop of low-temp hot glue to affix the mason jar lid to the wood slice base (refer to image below). 3. 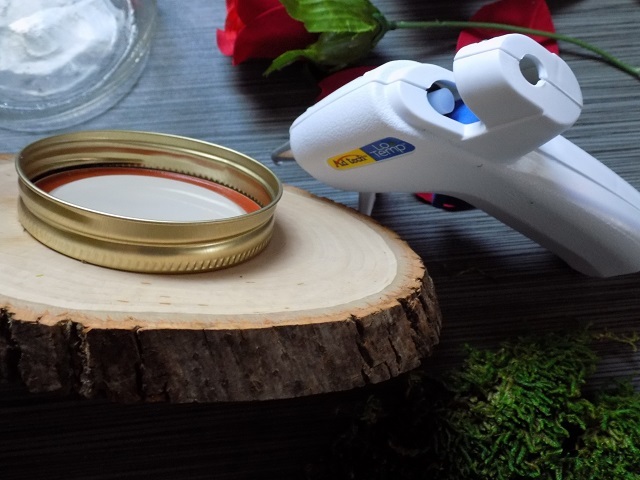 Now, use add a thin line of hot glue around the outer edge of the mason jar lid - affix sheet moss in small pieces to conceal the outer edge of the jar lid. 5. Place 2-3 rose petals (cut from the second rose) around the tealight. Place the flower inside the jar and place the jar on the jar lid/ring. Twist it in the ring until its closed tightly. 6. 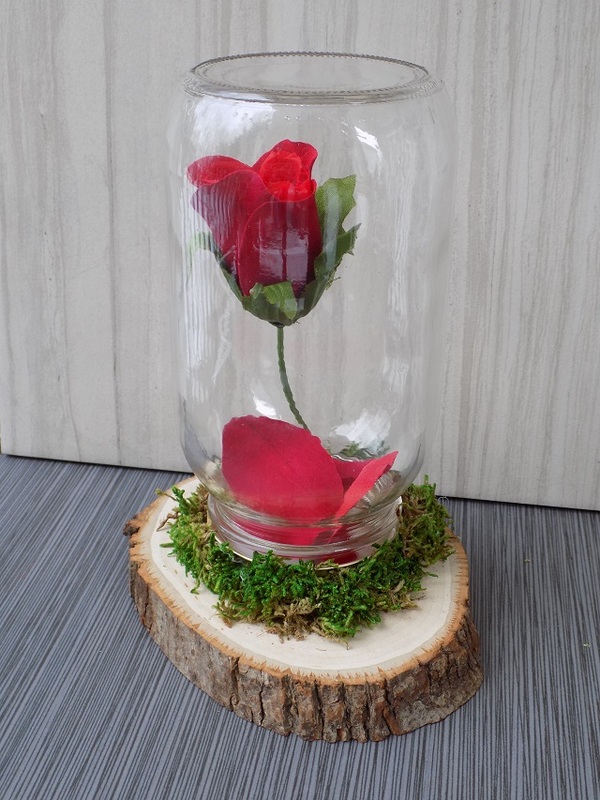 Place your new DIY Beauty and the Beast Rose Mason Jar Night Light on a bedside table or nightstand, and ENJOY! Happy crafting! Head to the theater with the kids to catch Disney's new Beauty and the Beast - with Emma Watson and Dan Stevens - on March 17, 2017.